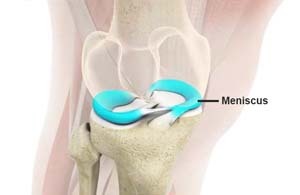 The goal of a meniscal transplant surgery is to reduce pain and prevent arthritic changes. The surgery is performed under general anaesthesia on an outpatient or inpatient basis. The procedure is usually performed with the help of an arthroscope (a fibre optic instrument), which is used to visualize the internal structures of the knee. A tiny camera is attached to one end of the arthroscope which transmits the internal images of the knee to a TV monitor. The arthroscope allows the surgeon to evaluate the entire knee joint including the cartilage, ligaments and the joint lining.